The purpose of this website and blog is to provide information about who I am for interested students and others and to promote discussion on two themes that I care a great deal about – God’s mission and Methodism. I strive to gently integrate these themes in my scholarship as well as in my teaching even if it is not always immediately apparent (even to me) that I am doing that. 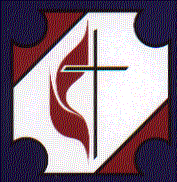 Simply put, I am a United Methodist who cares about the mission of God in the world today and throughout history. My hope is that this website will be a place for fruitful conversation about these things. I also need to say something about the beautiful painting on the banner of this site. It is entitled “The Great Commission” by the artist Nalini Jayasuriya. I sometimes begin my classes with this picture to encourage imaginative reflection on the meaning of Christian mission that is portrayed here. My hope is that this blog will help others to do the same whether persons are writing from the perspective of world Methodism or from some other tradition. — Ivan Illich cited in David Bosch’s Transforming Mission, p. 493. Ben, This looks like a hopeful addition to missiology. I look forward to hearing more from you.